My best friend keeps her shoes in opaque boxes with a photo of them on the front. But who has time for that? 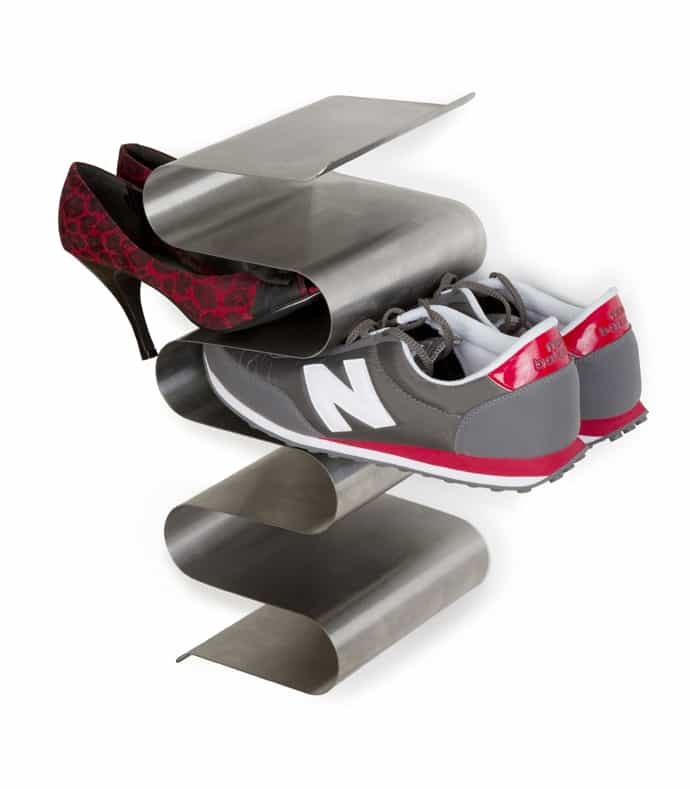 Spotted on www.j-me.com, Nest Shoe Rack represents the perfect solution when you want to store your shoes in an elegant, stylish way. Moreover, its unique design makes the entryway a welcoming and memorable space. Waving like a snake, this piece of steel is one of the most interesting items I have ever tested! 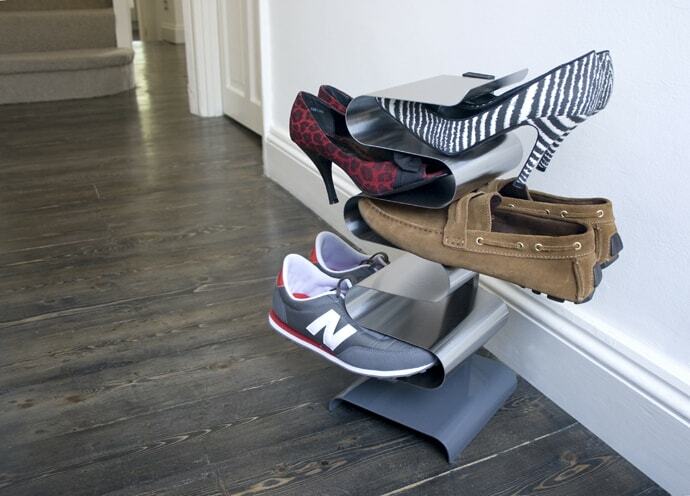 J-me team sent us the Nest Shoe Rack and we have already stored 7 pairs of sandals and sneakers. 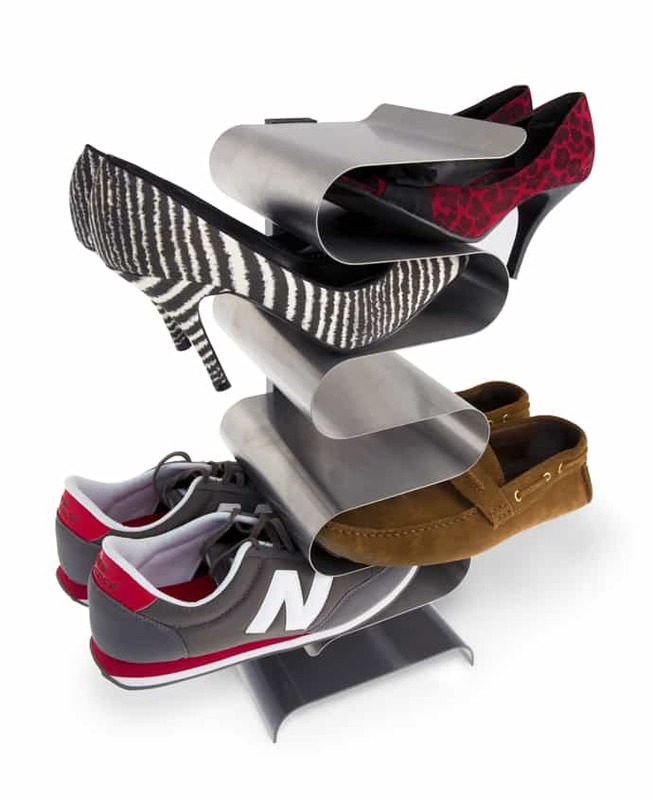 Now, everybody in the family fights for a place in this freestanding shoe rack we present you below. 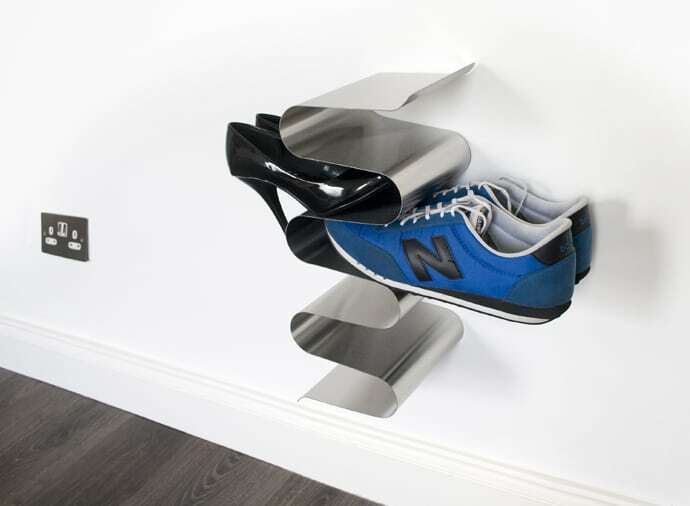 It is great because it does not compromise on space thanks to its vertical form and the item can be easily removed from its base and wall mounted. Its dimensions are 200 x 213 x 456mm and it weighs 3.6kg.